Statoil has awarded a contract to Alcatel Submarine Networks for Permanent reservoir monitoring (PRM) on the Johan Sverdrup field. The seismic technology – a potential digital enabler for the field – will be a key contributor to delivering on Johan Sverdrup’s 70% recovery ambition. “Johan Sverdrup will make up a significant part of Norwegian oil production going forward and has a lifespan of over 50 years, so it is important that we work systematically to maximise value and ensure as high a recovery factor as possible from the field. PRM plays an important role in this, and will be a key tool in realising the 70% recovery ambition on Johan Sverdrup,” says Kjetel Digre, project director for Johan Sverdrup. 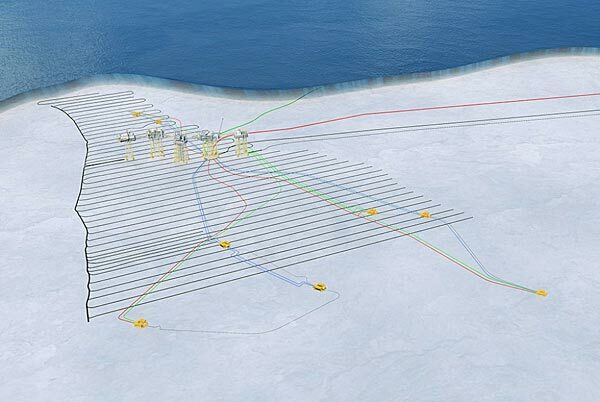 With 380 kilometres of fibre-optic seismic cables installed on the seabed and more than 6500 acoustic sensors covering an area of more than 120 square kilometres, Johan Sverdrup will have one of the largest fibre-optic seismic systems of its kind. With PRM, seismic sensors are permanently embedded into the seabed which enables more frequent and much improved seismic images of changes in the reservoir. The system on Johan Sverdrup will use optical fiber technology which allows for continuous recording of changes in the subsurface.